I like the sound of Balance Me and its philosophy of “beauty that works naturally” offering products that are within the affordable luxury price bracket. The company was founded in 2005 by two sisters after they left the corporate world in a quest to achieve a better work-life balance. The brand has achieved a fair number of accolades and awards including being voted the Best British Brand at the 2013 CEW Awards (Cosmetic Executive Women, widely regarded as the beauty ‘Oscars’) . The products blend active botanicals and hi-tech formulations and contain no parabens, sulphates, petroleum, mineral oils, silicones, DEA, PEGs, propylene glycol, artificial fragrances and colours. Pure grade essential oils and aromatherapy are also key components of the skincare range which includes face, body and hair products. Natural source Vitamin E and rosemary extract is used as the preservative in products declared 100% natural and an Eco-cert approved preservative blend used in water-based products, which should mean reduced risk of irritation for sensitive skin types like myself. All in all Balance Me was ticking all the boxes for me so when I needed a new body oil, I decided to buy the Balance Me Super Moisturising Body Oil. Perfect for: Preventing stretch marks during pregnancy and weight loss or gain, caring for parched limbs or any type of scar tissue, and encouraging skin to bounce back to super hydrated smoothness. Key benefits: This nut-free oil is perfect for moments when your skin needs some serious TLC. We’ve blended revitalising and healing neroli with rejuvenating rosehip, along with jojoba, wheat germ, borage and calendula – all bursting with essential fatty acids, anti-oxidants and vitamins – to help keep skin elastic. We also added coconut oil, traditionally used to tackle stretch marks. SMELL Light smell – nothing that lingered. Essential oils and aromatherapy are a major selling point of Balance Me but I didn’t feel this packed as much of a punch as I expected. PERFORMANCE I used this during cold weather when my skin verges on crocodile. It absorbed quickly into skin without leaving a residue. It did moisturise my dry skin though not what i would call “super” moisturising or particularly nourishing. LABELLING Ingredients are listed clearly on the box with chemical as well as common names. No manufacturing or expiry date though. None. Just did not wow me. 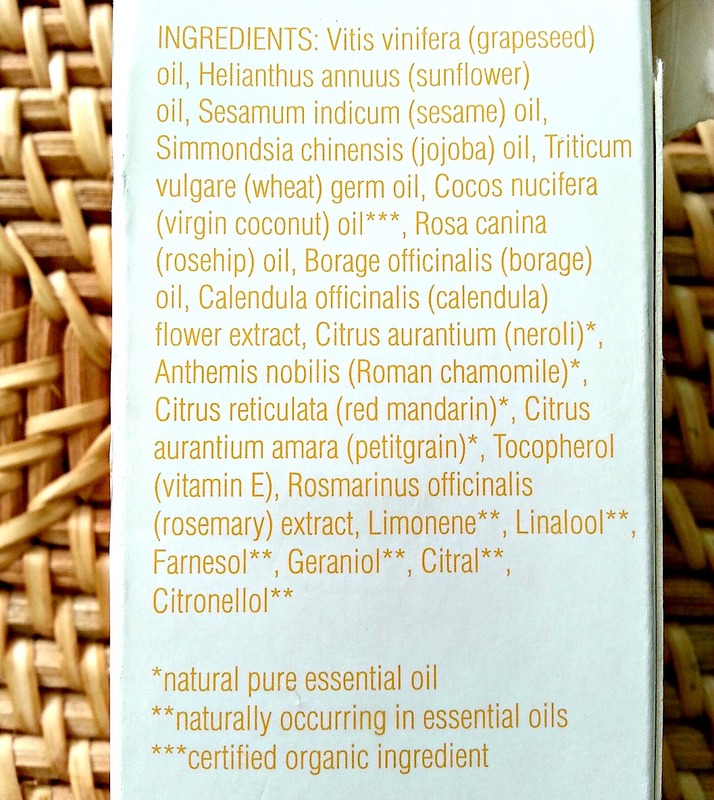 Wonderlusting verdict This oil did the job but for me nothing more and nothing less. It ticked all the boxes but somehow lacked that x-factor. For those with nut allergies, this would be a good oil to try.